Monaco will have to beat a two goal deficit at home ( Stade Louis II) if they are to qualify for the quarter finals. 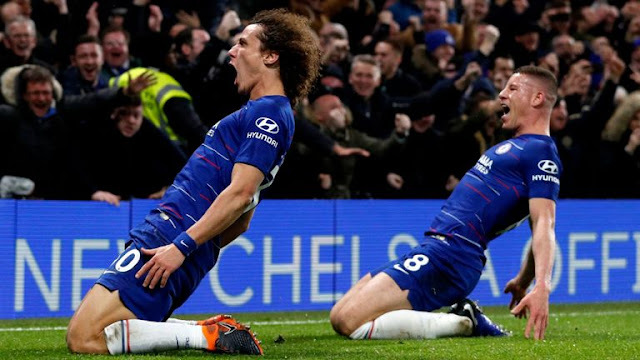 The French side fell 5-3 to the English side in the first leg and Monaco boss Leonardo Jardim will have to pick up a good strategy that will help over turn their two goal deficit. worried of Manchester City attack, the Monaco boss said that his team will have to score three goals if they are to qualify. "It will be difficult," Jardim said. "One thing is sure, for us to qualify in our current state, we'll need to score three goals. Two will not be enough. We will play with this target." The Manchester City Boss in his statement made reference to the scoring ability of the French side ( 123 goals in all competitions this season) and concluded that it won't be better to defend Against the French side. 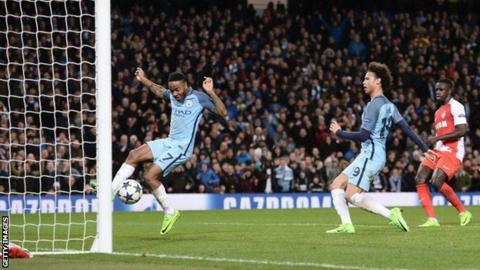 "The best way [to defend] is score goals," Guardiola said. "When one team scores many goals and you think about just defending, you kill yourself. The idea is to try and attack. "We scored five goals when it's not easy to score against them. What you have to do is go to score goals." Monaco own a record of qualifying against English teams in European competitions but Manchester City has not lost to any French side in European competitions and both teams have only one clean sheet in this season's Champions League. Striker Gabriel Jesus (foot) and midfielder Ilkay Gundogan (knee) are the only senior absentees. With Pep having few injury concerns, it will be easier to stage a strong attack against the French side. Falcao and Aguero both scored twice in their last clash but more will be expected from Falcao than Aguero as he looks more like the intended liberator sue to recent form. Manchester City are more likely to move ahead due to their goal advantage but the French side will try but will end their campaign here. Monaco will take this fixture with a 2-1 will at the Ethiad Stadium.